The confession of Zaur Dadayev is not confirmed by a direct witness to the crime, Kommersant newspaper reported. The confession of Zaur Dadayev, the suspected perpetrator of the killing of opposition activist Boris Nemtsov, is not confirmed by a direct witness to the crime, Kommersant reported on Friday. Kommersant reported, citing a source close to the investigator, that Ukrainian model Hanna Durytska, who was accompanying Nemtsov at the time he was killed, was not the only witness of the crime. It turned out that a 27-year-old man named Yevgeny (whose last name is not disclosed) was walking behind the pair at the time of the attack on the Big Moskvoretsky Bridge. The witness said he saw a man who was running away (who he believes was the assassin), who jumped the border stones separating the pavement and the driving lane on the bridge. Yevgeny said he had seen the man from behind. He says the man was of medium height, had dark, probably curly hair of medium length (some four centimeters). The young man also said the man was not wearing a jacket, despite the cold and windy weather. The man was wearing blue jeans, which the witness thought were too large for him, and a baggy sweatshirt with a hood. Kommersant says this description does not fit the description of the appearance of Zaur Dadayev, who is a big athletic man. Yevgeny said the man had got in the backseat of a white domestically produced car, which looked like a Priora. However, the investigators later determined that the killers had left in a ZAZ. Kommersant also reported that the witness had also noticed a pair at the accident site who seemed strange to him. A girl and a middle-aged woman wearing a black fur coat somehow appeared near Nemtsov, who was lying on the ground. The women exchanged a few words with the woman who had accompanied Nemtsov and then turned to the stairs leading to the Moskva River Embankment and quickly descended the stairs. Yevgeny also said he had seen a snowplow stop near the accident site. The witness said the woman who had accompanied the man lying on the ground ran between him and the snowplow driver with a cell phone in her hand. However, her conversation with the driver was apparently very short: he stopped for just a few seconds and then resumed driving. 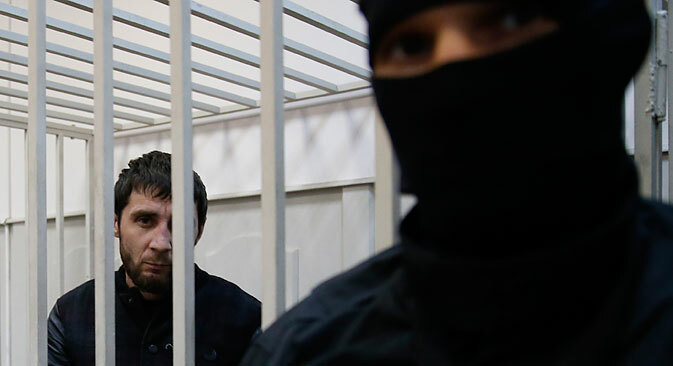 Kommersant reports that the lawyers intend to use the contradictions in the testimonies by Dadayev, who has admitted his guilt under interrogation, and witness Yevgeny as evidence of Dadayev\'s non-involvement in the crime. The defense lawyers believe the accused could have incriminated himself.